"¡Go Sebastien Go! ", directed by Eva Longoria, looks at Sebastien de la Cruz, a talented singer who took the nation by storm when he sang the national anthem at the 2013 NBA Finals. Mickey, Gibby forged the family owned and operated business, Cevallos Brothers Productions (CBP), in 2003 and quickly made a name for themselves in the industry. Providing a "one stop shop" for clients. CBP has roots in the commercial, television, music industry and film world. Mickey and Gibby have produced and directed over 100 national broadcast commercials for the Hispanic and general markets for such clients as Coca-Cola, Procter and Gamble, Sprint, Continental Airlines, Dodge and Chrysler. 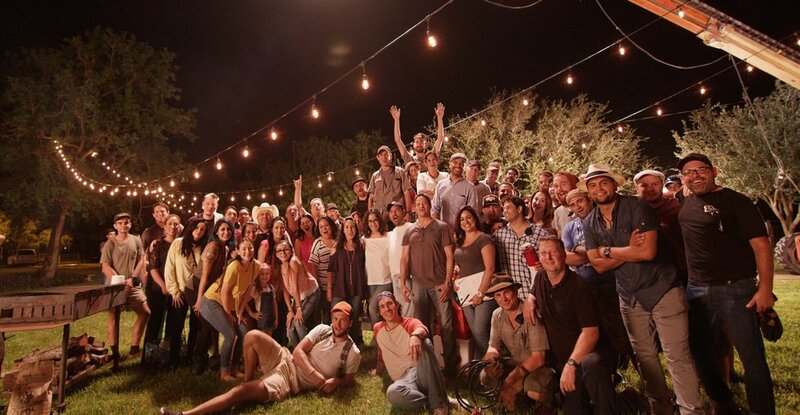 The Cevallos Brothers received critical acclaim for the commercial they produced and directed with Eva Longoria. The spot aired during the 2008 Super Bowl. The Brothers also received international acclaim for the two commercials they produced and directed for FootJoy golf shoes. Mickey and Gibby co-created, wrote and directed the hit Nickelodeon sitcom, "The Brothers Garcia." The show premiered in July of 2000 and captured the highest ratings ever for a new Nickelodeon show. The series ran for four seasons and Mickey & Gibby collectively directed over 26 of the episodes. The Brothers wrote and produced, Latinos Living the American Dream, a documentary special for Pepsi and Directed by Eva Longoria. The brothers traveled the country profiling the positive contributions of todays Latinos. The film premiered at the historic Grauman’s Chinese Theater to rave reviews and currently plays at Universities and Cultural Centers around the country.